It’s not enough to have a vision, even a compelling one. It’s not enough to be able to communicate your vision well. And it definitely isn’t enough to be passionate about your vision. Of course you’re going to be passionate about your vision. It’syour vision. 1) When the best ideas are not your own. When the vision has become ingrained in your culture, great ideas should be flowing from all directions. 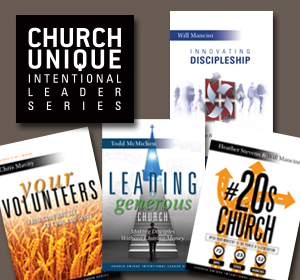 The pastor shouldn’t be the chief idea officer, but the chief vision officer. His responsibility is to make sure that the ideas are fitting into the vision. Not generate all of the ideas for the vision. If all of the best ideas are coming from the pastor, it’s a sign the vision hasn’t truly been owned by the people. It’s only being served. In other words, for your staff and volunteers, it’s still your vision. And since it’s your vision, you should be the one coming up with the best ideas for it. And then they’ll support you by making them happen. As Christine Caine would say, they see themselves as servants of your vision, rather than as stewards of a vision that has become their own. The vision isn’t going very far this way. I don’t care if you’re Steve Jobs, you don’t have enough great ideas in you to keep it going. The solution: regularly demand people to bring their own ideas to the table. Set the expectation that fresh ideas for how to carry out the vision aren’t welcomed, they’re expected. Remind the people you’re leading that the vision isn’t just yours. It’s everyone’s. And everyone can and should contribute. When they do, reward and recognize them in front of everyone. Make them the standard. And then don’t be surprised when great ideas start flowing from people other than yourself. 2) Leaders have been raised up who can communicate the vision better in ways more suited to their personality and area of responsibility. If you’re the only person who can communicate the vision, you’re in trouble. If your staff has to get you to every event to cast vision, there’s a problem. It’s an indication not of how great of a vision caster you are, but of how much your staff has yet to own and appropriate the vision to their own unique contexts. I remember the first time I heard the original version of Knockin’ on Heaven’s Door by Bob Dylan. I didn’t like it. Not because it wasn’t good, but because I had already heard it played by Guns N’ Roses. And I thought their version was way better. That’s what you want from the people you lead. You want people who can take your vision and make it better and communicate it more effectively in their own ministry setting. Who can take it and find fresh angles to approach it from that you never would have thought of yourself. You know the vision has become ingrained when you don’t have to be there in person to ingrain it. Your leaders have so internalized it that when they’re there, it’s as if you’re there. And it’s even better. The solution: Regularly force your people to articulate the vision in the context of their specific area of responsibilities. To you. To the staff. And to the people they oversee. The more they do, the more they’ll understand it, own it, and spread it. And the more your people will love and believe in the vision, not just the chief vision caster. Would you like to learn more about articulating vision for your organization? Connect with an Auxano Navigator and start a conversation with our team. I get asked all the time how we do discipleship at Elevation. Related to this question, I also get asked how we follow up with new believers. 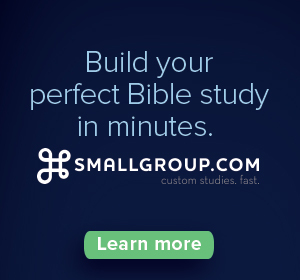 Do we relentlessly call people until they’re in a small group? 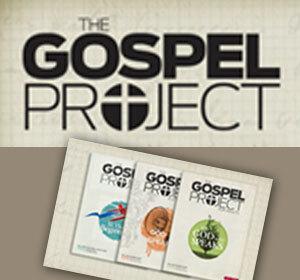 Do we offer 57 Bible studies for people to grow in their faith? Do we provide a yearlong systematic theology course for new believers? 1) We point the way. For that reason, we keep it pretty simple. We give new believers material to help them grow in the initial stages of their faith and we call and encourage them to get plugged in. We constantly stress the importance of small groups. We faithfully proclaim the Word and encourage people to read it for themselves. In short, we point the way to what it looks like to have a relationship with Jesus for themselves. If they decide not to walk that way, that’s their decision. And we’ve made the decision that we’re not going to chase all of them down if they don’t. Some people might say to this: Is that what Jesus would do? I don’t have to wrestle with that question because it’s exactly what Jesus did. Jesus didn’t hook his finger in people’s noses to make sure they were following him. When you read through the gospels, Jesus always cast His net extremely wide. Everyone was invited to follow. But He didn’t chase people down if they weren’t committed (as in the case of the rich young ruler). The call was to follow Him. Not be dragged kicking and screaming behind Him. All He did was point the way. To Himself. 2) We clear the path. This is where our greatest responsibility comes into play. If we’ve pointed the way clearly and people are responding, it’s our job to make sure the path is clear for them when they decide to walk on it. There’s no room to drop the ball when it comes to people’s spiritual development. If they’re taking a step towards Christ, we’ve got to make sure that step lands unobstructed. In other words, we’ve got to make sure our systems and processes are running at full speed. And running efficiently. If someone wants to get in a small group, we’ve got to follow up with them quickly. If someone needs counseling, we need to get them into it right away, and into the best counseling available. 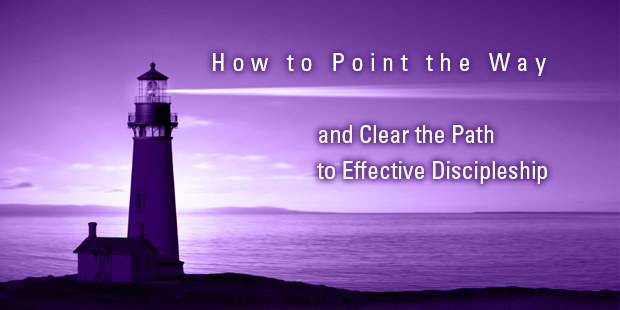 1) Point the way to Jesus clearly. 2) Clear the path to Him effectively. Let’s commit to doing both with excellence so we can see our people become all that God has designed for them. Read more from Steven here. 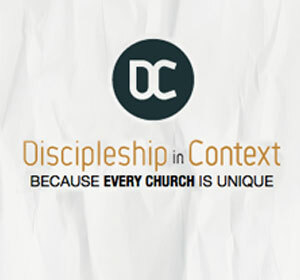 Would you like to learn more about effective discipleshp? Connect with an Auxano Navigator and start a conversation with our team. Simple and obvious leadership tip for you today. But it’s one that I’ve seen pay big dividends over the years. If you’ve ever watched an infomercial, you know that it says to call their phone number over and over again. The TV personality says it repeatedly. They flash it on the screen multiple times. It seems repetitive, almost to the point of being obnoxious. But they’re just trying to make it simple for people. Obvious. And they do it for two simple reasons: 1) people need them to, and 2) it works. Otherwise they wouldn’t do it. I think every church should adopt the same strategy. Obviously I don’t mean flashing numbers repeatedly on the screen. But we do need to make the simple things simple. The obvious things obvious. 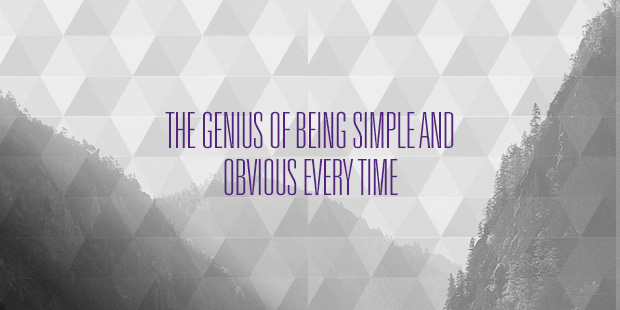 Because we should never overestimate the ability of people, including ourselves, to miss the simple and the obvious. Every week we tell our first time guests that they’re our VIPs. Every week we tell everyone to stop by an orange tent to get involved. 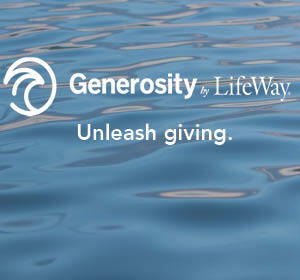 We encourage people to give all the time. We encourage people to get in groups all the time. Does it make the obvious things obvious? Definitely. And those are just the nuts and bolts of a church. Imagine how much more important it is when we’re talking about things like the Gospel. Or the vision of the church. Yet many churches only communicate those things a couple of times per year. This might seem like a simple and obvious tip to a lot of you. Why even blog it? Because we’re no better than our audience. Even the simple and obvious leadership principles need to be made simple and obvious, and repeated over and over again to leaders like you and me. One of our staff members at Elevation used to work at Chic-fil-A. He claims to know the secret about how they make the chicken taste so delicious. He shared it with me. Interesting theory. Sorry, I’m sworn to secrecy. 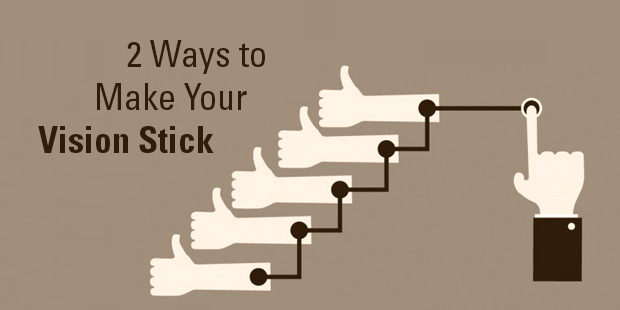 What is the secret sauce that has helped Elevation to grow rapidly and make a big impact? Obviously, the secret sauce is Jesus. But that’s not what they’re asking. They’re looking to learn how Jesus through the Holy Spirit is working through us in a specific, tangible way. Additionally, it always feels funny to try to explain what you’re doing right when you know there are so many areas where you want to do so much better. 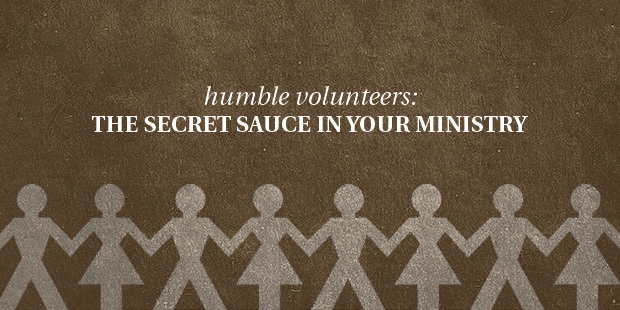 With that said, I do think there’s a secret sauce that you would discover if you spent some time behind the scenes at Elevation Church. It’s something that I’ve seen God bless over and over again- not just in our church, but in churches, businesses, and families all over the world. And it has nothing to do with my preaching or the Sunday morning worship experience. The secret sauce? It’s the humility of the volunteers on our team. They submit their pride and preferences to God’s plans and purposes, and deflect the glory to Jesus. Our creative team has had to completely scratch a finished product that took them hundreds of hours to create because it wasn’t the best thing for the worship experience. Our ushers have had to respond with kindness to angry parents who dropped F-bombs when they were asked to leave the auditorium with a crying baby so that people could hear the Gospel undistracted. Our worship leaders have practiced and performed many songs they didn’t personally like with a great attitude and wholehearted effort because it best supported the message. Our volunteer leaders have accepted hard correction about the way to lead their teams, made the adjustments, and come back the next week, even though they’re not paid to. In the administrative department- I walked through and saw 7 people in Volunteer Headquarters pounding away on keyboards, entering first time guest data just moments before I wrote this. Very few people have any clue about the hard, tedious work they do. But that’s not why they do it. Elevation team- thanks for serving up the good stuff with humility every week. You’re the secret sauce that God uses to make this thing so special. 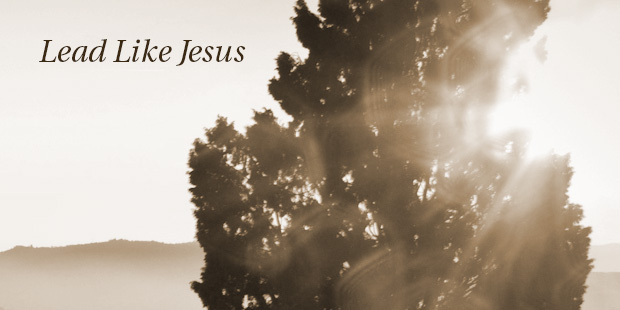 You often hear people talk about how we need to lead like Jesus. I completely agree. But what many people usually seem to mean by this is simply that we need to be extra nice. Not be too blunt or harsh. Or too demanding. Or put people in situations that overly stretch them. In other words, leading like Jesus means leading like Mr. Rogers. Jesus was a tough, demanding leader to follow. He was always stirring something up, pushing the disciples past their limits, even coming across rude and reckless sometimes. What about in Mark 1:16-20 when Jesus tells Peter, Andrew, James, and John to leave their livelihood to follow Him. Or Mark 1:40-42 when Jesus touches a leper in front of the disciples, which would have been like injecting yourself with AIDS in our day. Or Mark 2:13-17 when Jesus goes to a party with sinners and the disciples have to do PR control with the Pharisees. That’s just scratching the surface in Mark. And I didn’t even get to the other gospels. Don’t get me wrong, leading like Jesus doesn’t mean you have to lead like a jerk. That’s not what I’m saying at all. I’m just saying that Jesus knew some things about leadership we all need to learn. Leadership isn’t letting people stay comfortable. Leadership isn’t being easy on your team. Leadership isn’t speaking in nice generalities and letting crap go by without calling people on it. Leadership isn’t about not putting your people in tough circumstances where they’re going to have to think on their feet. Leadership isn’t about those things because then you’re not actually leading your people anywhere but where they’ve always been. You’re letting their potential remain dormant. And you’re not serving them. You’re setting them up for failure. Or even worse, successful mediocrity. Don’t be afraid to expect the best from your people. And don’t be afraid to put them in difficult situations that are going to bring the best out of them. In short, don’t lead like Mr. Rogers. Lead like Jesus. When it comes to our limitations, most people operate out of an if, then mindset. If I had __________, then I would ___________. If I could __________, then I would ___________. If I had more money, then I would buy a nicer house. If I could sing, then I would be a musician. If my children were in a different stage of life, then I would move. If my church had a state of the art facility, then we would grow. What would you do if you had unlimited money? Could sing? Had children who were at a different stage? Had a state of the art facility? Sounds nice, but this mindset is a breeding ground for frustration. Why? Because you don’t have unlimited money. Your children aren’t in a different stage of life. And your church still has the same building. In other words, for now you’re stuck with your limitations. And while it might be liberating to think about life as if you didn’t have them, they’re still there and you have to work with them. I’m not saying that you shouldn’t plan ahead or that you shouldn’t dream. Of course you should. 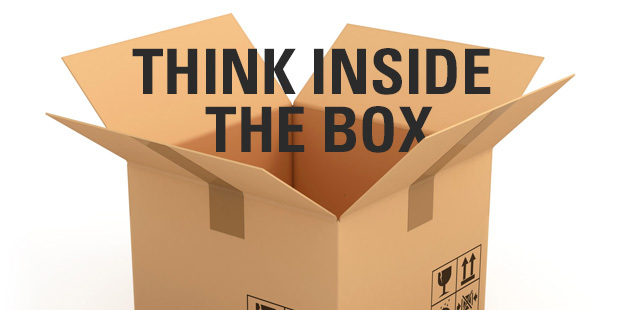 But your box is never going to expand to the place where you’re thinking outside of it until you learn to live in it. I would challenge you to think inside the box. Stop waiting for what you want and work what you’ve got. How much money do you have? What talents has God given you? 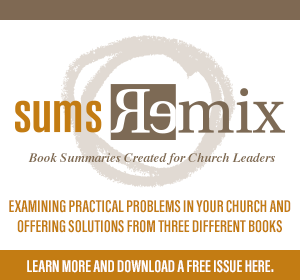 How can you maximize your church or corporation with the assets and resources you currently have in place? Your greatest limitation is God’s greatest opportunity. If He wanted you to have ________, He would have provided it to you. If He wanted you to do ________, He would have made you able. So there must be something greater in mind that He wants to do through your limitation. He must have something in mind He wants to do with what you actually have and actually can do. Most of us are so focused on what we don’t have that we’re blinded to what we do have. If you had what you think you needed you wouldn’t be able to use what God’s actually put inside of you. And what He has put inside of you is all you need to accomplish all that He’s called you to do. It’s all He needs too. Even if it seems limited to you. There’s a tension that exists whenever God has moved greatly in the life of a person or church. It’s the tension between looking back and looking forward. But what usually happens is we specialize in one of them at the expense of the other. Some people really celebrate what God has done, but they don’t anticipate the next thing He wants to do. 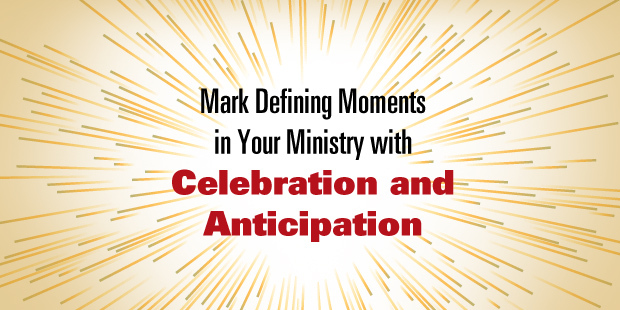 Others really anticipate what God’s going to do, but they don’t celebrate what He’s done. According to the way God wants it done, He commands both. Commemoration is equal parts celebration and anticipation. You can see this in Joshua 4 when God tells the Israelites to put down stones in order to commemorate their passing through the Jordan River. The purpose was for it to be a reminder of how God had led the people through the desert for forty years and through the Jordan. It was a symbol for what He had done. But it was also looking forward to the Promised Land and taking possession of it. It was a symbol for what He was about to do. Celebration and anticipation belong together and flow into one another. And we need to be good at both. It seems trivial, but it’s not. I believe this is one of the main reasons Elevation has seen God move mightily in the past five years. We make every attempt to celebrate passionately and adequately when God blows us away. But we also really try to anticipate how He is going to blow us away next and plan accordingly. We’re trying to live in the tension. You need to as well. Commemoration is equal parts celebration and anticipation. Learn how to do both well and don’t be surprised when God gives you more things to commemorate. 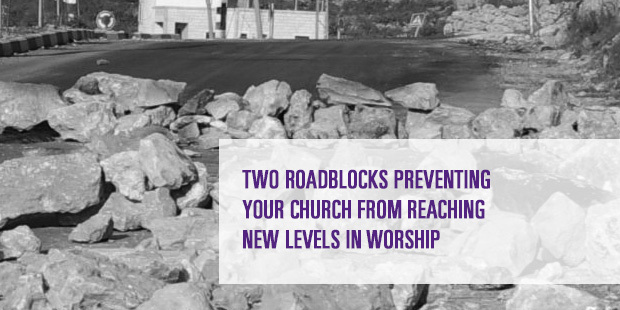 It seemed to resonate with a lot of people and I wanted to elaborate on it a little because I think these are two big roadblocks for taking your church to a whole new level in worship. 1) Pastors who don’t engage in worship. Pastors, you’re the primary worship leaders at your churches. And that’s even if you don’t have a lick of musical talent and your voice would offend people if they heard it. Your church is never going to go further in worship than you’re going to lead it. And what you need to understand is that you set the tone not only with the Word but also by your example. Your worship before God is preaching a sermon on the greatness of God long before you ever open up your mouth to speak about God. And it’s a sermon people listen to and apply to their own worship. Immediately. But this goes beyond your leadership. You will never graduate past your need to worship God. You’ve been called to preach, but you were created to worship. There isn’t an advanced level of Christianity where you no longer have to engage with God in passionate praise. So don’t let your mind become so occupied with what you’re called to do – preach – that you lose sight of what you have been created to do – worship. 2) Worship musicians who don’t engage with the Word. This is ultimately an honor issue. Yes, honoring your pastor is part of it. He’s been preparing for this all week and one of the best ways you can support him is by actively responding to the Word. But really this is about honoring the Word of God. Just like your pastor, before you’re a musician, you’re a worshipper. And there is no such thing as true worship divorced from God’s Word. The Word gives us a God worth worshipping. A God worth leading others to worship. And the intensity of your own personal worship and your effectiveness in leading others in theirs is directly related to your engagement with it. 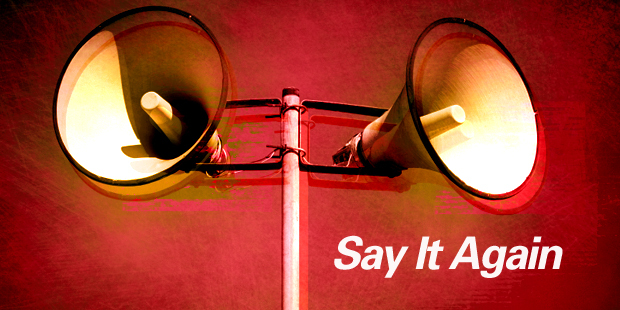 So whether you’re preaching or playing music this weekend, choose to fully engage. Pastors, put your notes down, and worship the God you’ve been studying about all week. Worship musicians, catch your breath for a minute, and then pick up your Bible, a pen, and press into the God who is the source of your creativity and talent. And then watch as the worship in your church is taken to a whole new level. 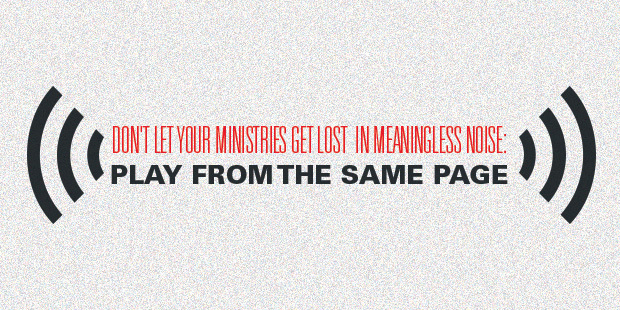 Does Your Outside Space Reflect Your Inside Ministry? I recently took my youngest son Graham to a music store to let him bang on the instruments. I decided that even though I love music, I would hate to work in there because all you hear all day is noise. Not music. Multiple people were playing multiple instruments around the store and it sounded horrible. No one was coordinated. It was just an annoying cacophony of sound. But I also noticed that if you isolated it out, a lot of the individuals who were playing were actually pretty good. You had one guy playing great R&B on a keyboard. Another guy playing a strong version of Stairway to Heaven on guitar. Another playing great jazz on drums. It’s not that any of these players were particularly bad. They just weren’t playing from the same page. It wasn’t their individual skill levels that were lacking. It was the unity of all their skills going after the same purpose. That’s what a lot of churches are like: A room full of talented people playing their own music. What could be really beautiful like a symphony has gone wrong because there is no unity. And the result is purposeless noise. Many of you have the people in your church right now to begin playing some amazing music. A better staff person or better volunteers isn’t going to fix your problem. It will just add to the noise you already have. What you really need to do is get everyone to start playing the same song. If you’re a pastor, it’s your job to pick the song. Cast your God-given vision. You could have some of the greatest people in their respective positions you’re ever going to work with. But if you don’t give them a common song to unite around, you’re wasting their talent. And your church is just going to make a lot of noise that’s going to repel people. If you’re on staff, volunteering, or simply attending, it’s your responsibility to be united under your visionary. If God wanted everyone playing your song, He would have elevated you to a place where you could make it happen. But He hasn’t. He may one day, but in the meantime you need to faithfully contribute to the song your pastor has chosen with your unique contribution. And do it with excellence. Unite under a common song. Play from the same page. And play your part flawlessly.